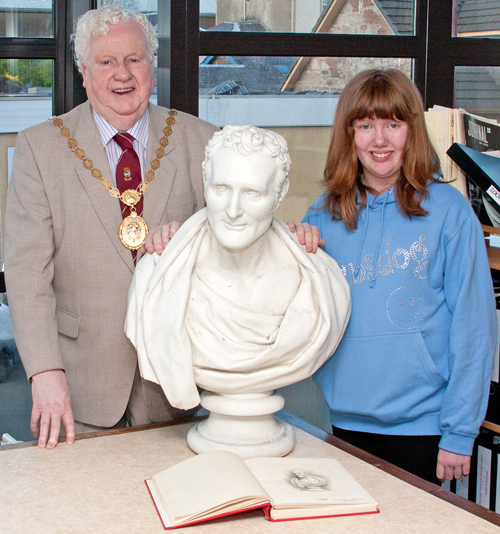 HELENSBURGH now has a Heritage Centre. 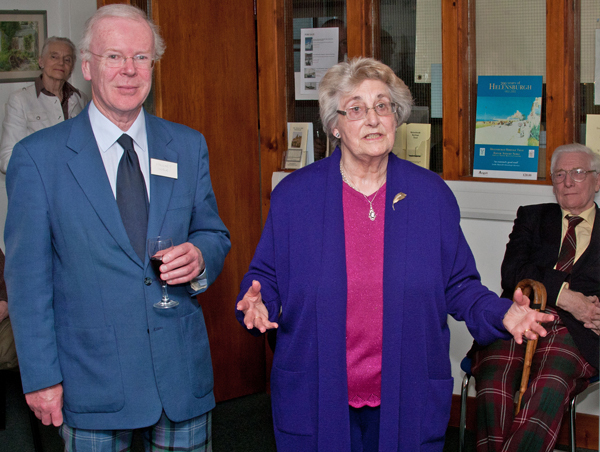 The long held dream of Helensburgh Heritage Trust was realised on Tuesday May 1 2012 when the new Heritage Room at Helensburgh Library in West King Street was officially opened by Provost Billy Petrie — his final duty as Provost and councillor after 45 years in local government. "It is a dream come true," said Mrs Betty Humphrey, founder of the Heritage Trust, who travelled from her home in Rochford, Essex, with her son Michael to attend the official opening and reception. Trust chairman Stewart Noble explained how the project came about in what was formerly Argyll and Bute Council's Helensburgh Library reference room. The Council realised that in the internet age reference books were no longer so necessary, and decided to reduce the number available in the room. This left plenty of space, and it was decided to invite the Heritage Trust to make use of it. So in partnership with the Council, the Trust began the process of adapting the room, buying display cases, and deciding on the initial exhibits. Now the room contains the John Logie Baird televisor, a working model, and displays on Baird, Mauchline ware with Helensburgh scenes, historic old bottles, Helensburgh film star Deborah Kerr, Clyde steamers, and military regalia, all provided by Trust members. A digital frame displays 100 of the old pictures to be seen on the Heritage Trust website. Stewart said: "We regard this as a work in progress. It will develop, displays will be enhanced and changed, and we will invite townsfolk and local organisations to put on their own displays. 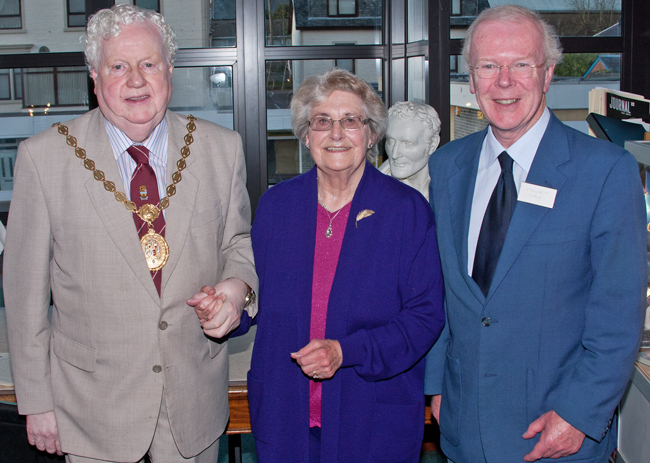 "We are very grateful to the Council, and in particular head librarian Pat McCann, for this opportunity and their help in realising this dream, and of course to Provost Petrie for hosting the opening reception in his final week in office." Helensburgh Heritage Trust was officially founded at a public meeting in the Court Hall of the Municipal Buildings February 29 1996. Mrs Humphrey, a teacher, campaigned for it for several years, and her late husband John issued several Newsletters calling for its formation. The room, which is protected with CCTV coverage monitored constantly by library staff and with 24-hour recording, is open to the public during normal library hours, and remains available for research work using the local collection of books and other records.